Edmonton-Centre Conservative Member of Parliament Laurie Hawn has decided to retire when the next election is called, according to the latest column by the Edmonton Sun’s Lorne Gunter. 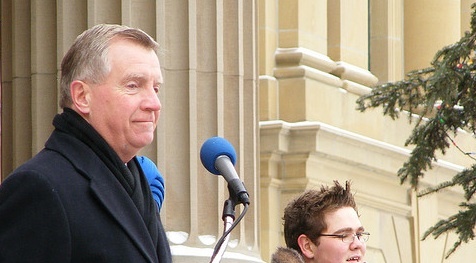 The retired Air Force lieutenant-colonel first entered politics in 2004, running unsuccessfully against Liberal MP and Deputy Prime Minister Anne McLellan. Mr. Hawn defeated Ms. McLellan in a re-match in 2006 and has been appointed to various parliamentary positions related to national defence and security, including Parliamentary Secretary to the Minister of National Defence. Mr. Hawn’s departure is expected to kick-off a hotly contested Conservative nomination contest, which could include a number of high profile conservatives. A lack of Conservative Party incumbent could also open an opportunity for the opposition parties. 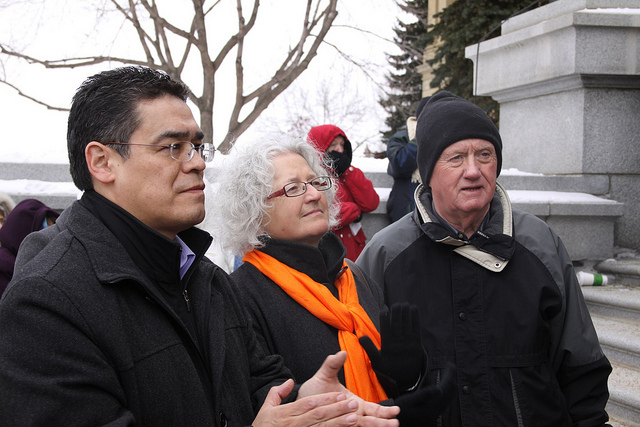 In 2011, Edmonton NDP candidates Lewis Cardinal, Linda Duncan and Ray Martin. Running for his second time, New Democratic Party candidate Lewis Cardinal finished second in 2011 vote, knocking the Liberals to third-place. He has already been campaigning for nearly one year and hopes to build on the support he earned in the previous election. The Liberals are hoping excitement about leader Justin Trudeau is enough to help win back the area represented by Ms. McLellan from 1993 to 2006. Three candidates are vying for the Liberal nomination, Randy Boissonnault, Harold Robinson and Don Padget. This entry was posted in Alberta Politics, Canadian Politics, Candidate nominations and tagged Anne McLellan, Don Padget, Edmonton-Centre, Harold Robinson, Justin Trudeau, Laurie Hawn, Lewis Cardinal, Linda Duncan, Lorne Gunter, Randy Boissonnault on March 9, 2014 by Dave Cournoyer. I can’t see Lewis Cardinal & a Mulclair ticket winning this seat. Odds are he holds his vote at best. The big $ Liberal families in this riding are probably all hot in the pants excited to vote for JT and his hair. This riding could go Lib if the JT surge that polls reflect holds. Very bellwether riding in 2015. And good riddance. Dave is there any truth to the rumour that Laurie Hawn is going to back his son for the Conservative candidacy? Neal – Thanks for the comment. 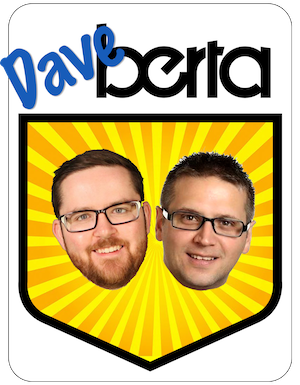 I think Edmonton-Centre has the potential to be a three-way race, perhaps the only real three way race in Alberta. If the Liberals hit rock bottom under Michael Ignatieff’s leadership in 2011, how far can they rebound under Justin Trudeau’s leadership in 2015? I wouldn’t underestimate the Liberals, but I still wouldn’t yet move this riding out from the “Leaning Conservative” column. Trevor – Thanks for the comment. I have heard rumours and I will certainly post them on this blog when I confirm them to be true. The NDP’s Mulcair has a major dislike for Alberta, and all that we stand for as an energy producer, don’t think Cardinal can over come that reality. The Trudeau Liberals are far from having any real leadership credibility, his hair not withstanding. Harper has succeeded in completely marginalizing the Liberals, however, that’s made even easier with Trudeau at the helm. Edmonton-Centre will be an interesting race for sure. I wouldn’t discount Lewis Cardinal or the Liberal candidate from winning in a close three-way race. Edmonton is quite different from the rest of the province in how they tend to vote. Despite the Wildrose scare in the last provincial election, 4 NDs and 2 Liberals were elected in Edmonton, which is practically an all-time low between the two parties. All the things that Jack Layton said about the oil sands and its impact to climate change didn’t hurt Linda Duncan’s chances or hurt the bump that Lewis Cardinal and Ray Martin enjoyed last time. The working class, civil servants, students, young professionals, and people employed by the U of A, could also easily rally around a progressive candidate. Will be a race to watch for sure. 3 Way Race, how about an Independent Candidate that clobbers all 3. Now that would be something worth talking about. I live in Edmonton-Centre and I know that many people voted for Lewis Cardinal in the last election even though they normally voted Liberal. They did this for strategic reasons since they didn’t think that the Liberals had much of a chance federally. With Justin’s rising popularity, I would assume that most of these people would switch back to the Liberals provided that a strong candidate is chosen. . I always liked Hawn. however with Harpers increasingly tight grip. Hawn’s own polls show that the people of Edmonton-Centre will not tolerate Harper much longer. if he cant fight Harper. his only choice is to leave.